Thanks for stopping by the Homebrewer Deal Blog! 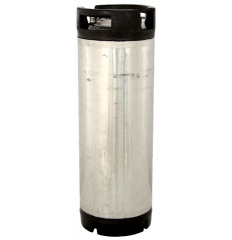 Coupon Description: MoreBeer currently has a sale going on for their 5 gallon ball lock homebrewing kegs. If you are currently bottling your beer, then switching over to a keg will probably be a dream come true; unless you like cleaning and sanitizing that it. Right now you can get one of these 5 gallon homebrew kegs for just $68.99!